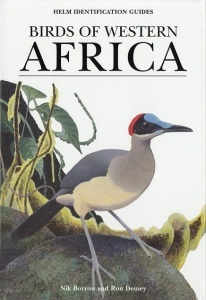 This major guide covers all of the birds of West Africa, from Mauritania and Senegal east to Chad and south to Congo. It gives detailed descriptions of 1,285 species, from ostriches to falcons and parrots to plovers. The 147 colour plates contain more than 3,000 illustrations, and each entry describes the voice, behaviour, habitat, distribution, migration patterns and conservation status of the species. This is the authoritative handbook for one of the world's richest birding destinations. Hardback. 832 pages. 147 colour plates. 1100 distribution maps.